Getting ready to install the 2 new side scoops. Installed the center stud. 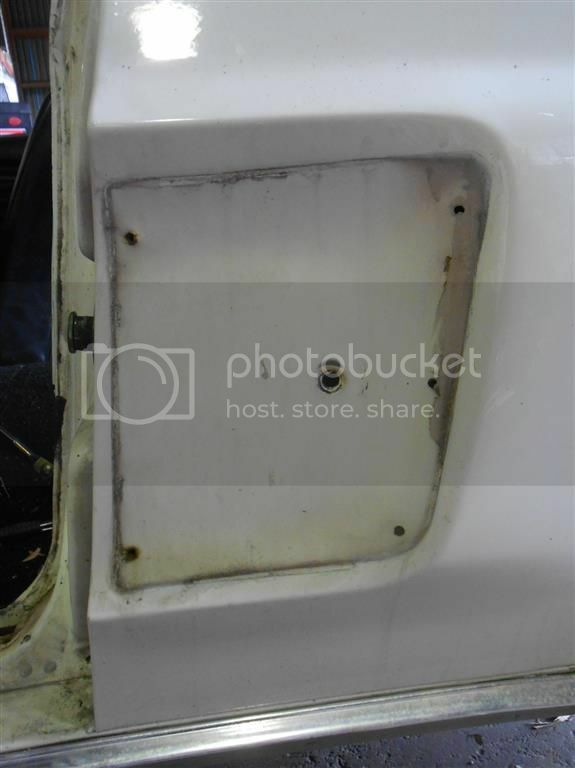 The 2 front sheetmetal screw location is perplexing: It appears that the angle for the 2 screws through the front of the scoop is perpendicular to the quarter panel metal. PMN's book, page 107 shows a drawing for the factory mounting of the scoops, but it doesn't make sense to me for the 2 screws' angle into the sheetmetal. Another curiosity- My Black CS scoops don't even have the recesses where these 2 screws are supposed to go. They do go in at a small angle. The side scoop is "countersunk" angled to the quarter and the screws must match this angle. I have one original on my car and two original spares. 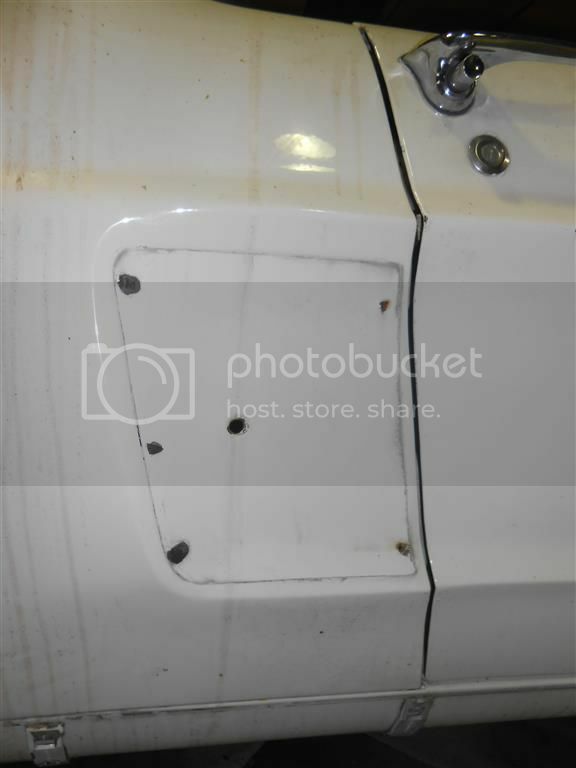 Would you like a picture of the spares in a close up for the holes? On mine the screw angle was pretty critical, the screws barely cleared the edge of the holes so be sure it is aligned right. As if not when installing you might chip the paint on the lip. Rob; a photo could help. I will get photo tomorrow. Richard is all over it! Secure the scoop to the car with the center bolt. Then carefully use a small scratch awl or small center punch to mark the spot on the quarter though the scoop holes. Remove the scoop and punch the quarter to make the exact location. Then drill a hole at the appropriate angle (45 degrees) and screw the screws in at a 45 degree angle to ensure the proper angle. Do all of this before paint and such. Then be careful when they are painted to screw down very gently. Pictures of one of my original spares. On the back side, notice the holes are centered on the edge of the area that bolts to the body. Richard's pics clearly show the angle the screws go in. Fit them up before the painting!! Good luck, sure it will come out fine! Do not forget the clear RTV seal around them when you are finished. Here is a pic of a sealed scoop. This is the first reference I've heard of sealant around the side scoops on driver or concourse cars. Was this a factory practice, or personal preference? I can not say 100 present that Ford did it on the GTCS and HCS cars but it was part of the Shelby assembly. It was also used on the rear quarter extensions as well. In fact when judging Shelby's we deduct if it is not present. Even if our cars did not come with it I would still use it just to keep everything tight and clean. Most people would never even see that it was there. It is my honest opinion Ford did not silicone the side scoops. I have seen many CS cars, Original, unrestored, or taken apart, and I have yet to see evidence on CSs there was any silicone used. I would not be surprised that the sealant was not used on the GTCS because Ford was not that quality driven at that time. 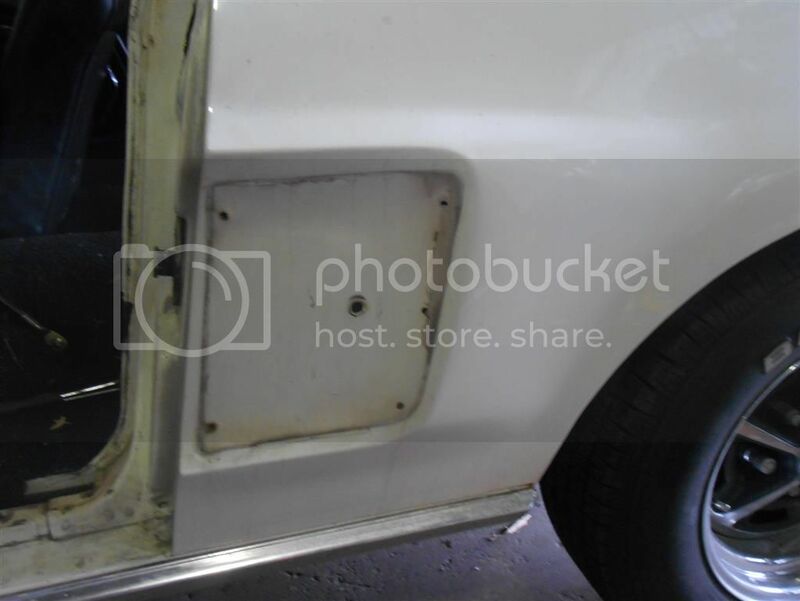 Another example would be that on the Shelby's there was a adjustable hood style bumper on the rear trunk lip, Ford just put a piece of tape weather strip on the deck lid to get by. I know Scott Fuller has a unrestored GTCS and he may be able to tell us for sure whether there was sealant or not .